The OBS Engine Nano RTA uses single elliptical post holes design, compatible with any wire in the market, offering you the best vaping experience ever. 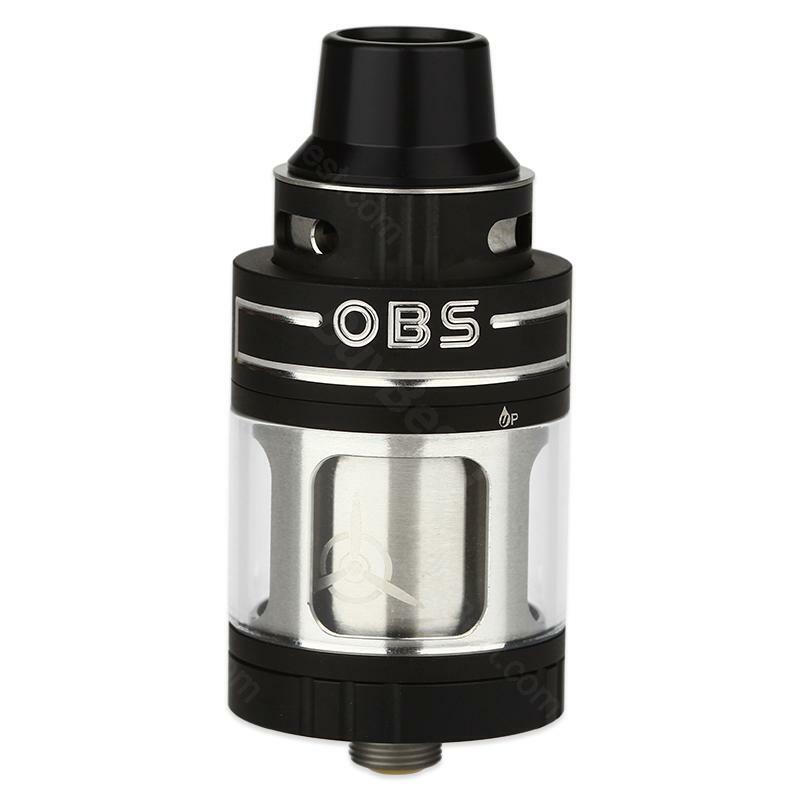 OBS Engine Nano RTA Atomizer 5.3ml Capacity Rebuildable Tank, It supports top adjustable airflow, which expands liquid flow and minimizes leaks, so that you can satisfy your maximum demand of airflow inlet for richer taste experiences. 2 optional colors. 5.3ml is huge enough and I love that huge lol. Got engine nano in black to match my hugo vapor mod. Couldn't be more pleased. This Engine nano pleases me. Very nice looking with well built quality as well. I found the prices on this site are very cheap. And my new engine nano rta works flawlessly. Absolutely will recommend this shop.